“I just want to die. I can't tell anybody. I am too scared." “I hope I will be able to withstand these hurtful feelings." 1. Fear adults will do nothing: Kids may be skeptical that adults can, or will, take steps to stop the bullying. 2. The cloak of secrecy: Bullying often happens out of adults' sight, in settings such as hallways and school lunchrooms. Thus, bullying stays between the victim, the bully and peer bystanders. 3. Power: Bullying is marked by one participant — the bully — possessing more power than the other, whether that power is real or perceived. 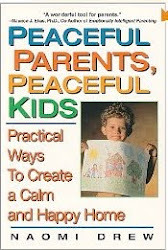 Children learn to gain power by aggression and to accept when others wield aggressive power. So a "weak" victim is not likely to tattle. 4. Self-blame: Victims may feel shame and blame themselves for their situation. One girl told the researchers she was at fault for her victimization, because she was "a little chubby." 5. Retaliation: To some kids, the logic is simple: Tell an adult and make the bully madder. 6. 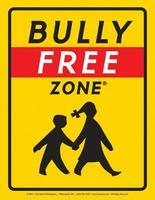 Vulnerability: Kids who are bullied are often less accepted by their peers and may struggle with social skills. They may yearn for acceptance from the very people who torment them. 7. Fear of losing a friendship: Sometimes the relationship between bullies and victims isn't so straightforward. If the victim counts the bully as a friend (or wants to be his or her friend), telling may not seem like an option. I have to preface this post by saying that the only time I've gone to the Fox News site is to see the interview I did with them. On one hand, I'm feeling a little cognitive dissonance to have been on Fox, but on the other hand, it was an opportunity to talk about bullying with an audience I might not otherwise have reached, and it was actually fun. Although the interview went well, it was very short because of the cargo bomb incident that took place the day before. Homeland Security Secretary Janet Napolitano came on first, and she ended up using some of the time that was alotted to us. Oh, well -- at least we didn't get bumped, as happens often with national TV. And I have to admit, the experience of working with Fox and being hosted by them in New York was very positive -- credit where credit is due. So, for anyone who is interested, click here if you'd like to see the interview. On another note, I just did a new article for the Examiner on some troubling results of a new survey on teens and bullying, plus some powerful measures schools can take to prevent bullying. Click here to read the full article. Oh, I almost forgot -- a wonderful song by a plethora of Broadway stars for any kid who's ever been bullied. "It Gets Better" is wonderful and inspiring. Click here to hear it on You Tube. Do you have stories about bullying? If so, please post them here. And if you're using No Kidding About Bullying, please let me know how it's going!! Listen to My Interview on the "School Counselor Blog"
I was recently interviewed by Danielle Schultz who runs the very excellent School Counselor Blog, "a place where school counselors can share innovative ideas, creative lesson plans, and quality resources." 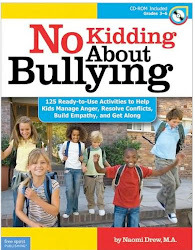 In the interview Danielle and I chatted about solutions to bullying and conflict, the inception of No Kidding About Bullying, and useful ideas that teachers and counselors can easily implement to help kids get along better. The interview is divided into two parts. Click here to listen to Part 1, and click here to listen to part 2. Hope you find the information helpful! 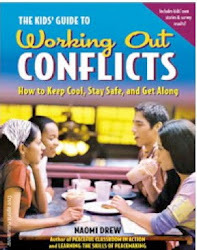 What are you doing to alleviate conflict and bullying? Post your ideas here.